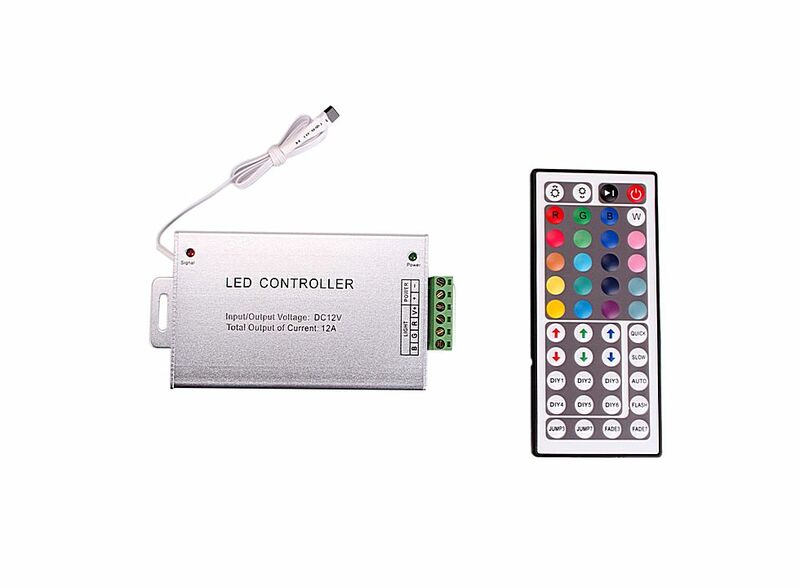 Wireless IR Light Controller Silver 12V 12A 44-Key E03222, Buy at lowest prices. This high quality Wireless IR Light Controller Silver is safe, effective and energy-saving. It has long service life, and will result in money saved by lowered utility costs. Light weight, small size, high efficiency, easy remote control, etc. Low power comsumption, and long using lifespan. Can adjust the brightness of light.